Anne grew up in Fort Worth and spent time on her father’s Triangle Ranch mastering the qualities of a top hand through her friendships with the cowboys. Heir to the Four Sixes and Triangle ranches, she was a noted quarter horse breeder and helped organize the American Quarter Horse Association. 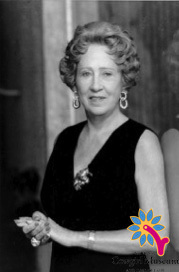 Married to Tandy Corporation founder Charles Tandy, Anne served in leadership roles in professional and civic organizations and was known as a rancher, art collector, and visionary philanthropist.